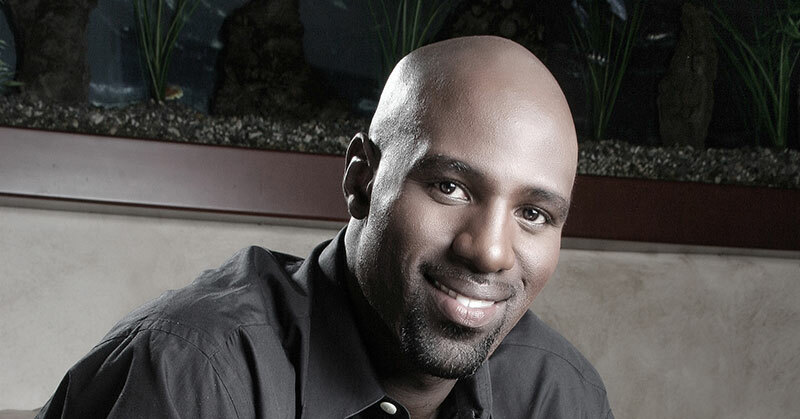 Former NFL linebacker Bryan Scott has two things on his mind these days: 1) building a successful chain of Title Boxing Club franchises in the Atlanta area, and 2) overseeing the company he co-owns, Noene USA, which sells a line of high-tech, ultra shock-absorbing insoles. If his track record is any indication, he'll be successful. Scott was a second round draft pick of the Atlanta Falcons in 2003. He spent the next decade in the NFL playing defensive back and linebacker for the Falcons, New Orleans Saints, and Tennessee Titans before winding up his NFL career with the Buffalo Bills. Like most athletes who reach the professional level, he says he loved it and was honored to play successfully for so many years. But unlike many of his peers, Scott knew there was life after football. Following his retirement in 2013, Scott was eager to begin his business career. "Football is not a career, it's a job," the 34-year-old likes to say. "The fundamentals of success are the same no matter what field you work in," he says. "Hard work and dedication will get you where you want to go." One of his relatives had a chance encounter with the European president of the Swiss company that makes the Noene insoles. One thing led to another and Scott became Noene's U.S. distributor. If any of this sounds familiar, you may recall seeing him on TV's "Shark Tank," where he was offered $200,000 by Mark Cuban and Daymond John for a 30 percent stake in the company. He accepted. Scott, who wanted to continue his involvement in the fitness arena, discovered Title Boxing at an NFL Networking Event. "I had been in sports all my life and just knew I wanted to stay in the fitness world, and thought I could help others who were interested in fitness too," he says. The brand's centers offer total body boxing and kickboxing fitness workouts that energize, strengthen, and challenge members. "I thought this might be a good fit for me, and there was an existing franchisee in Atlanta who was looking to sell his two units," Scott says of his locations in Alpharetta and Johns Creek. Scott took the keys to the clubs in December 2014 and has been busy learning the ropes and building his business ever since. And he's in his clubs daily. "I've got about 10 part-time employees at each location, and I am actively involved teaching classes myself," he says. His two locations currently have more than 250 members. His agreement with the brand calls for 5 more locations in the Atlanta area. Like most successful people, Scott believes it's important to give back to his community. He also is a self-taught musician who has always loved music and plays several instruments. He parlayed those two interests into founding the nonprofit "Pick Your Passion" Foundation for the Arts, which encourages underserved children to participate in the visual, culinary, and performing arts. When all is said and done, Scott finds a deeper meaning to what his business is really all about. "Title Boxing Club is more than just helping people get back into an old pair of jeans or develop a six-pack," he says. "It's more about transforming lives by creating a healthy and sustaining lifestyle." Basketball camp counselor, age 15. Certainly my mother and father. My dad was an oral surgeon and my mom took care of our family and also worked in his office. They instilled values and moral standards in me that I rely on to this day. College graduation, 10-year NFL Career, Buffalo Bills Walter Payton Man of the Year Award 2012, multi-unit owner of Title Boxing Club, co-owner of Noene USA. Finding balance between work and home. Hit higher revenue points in each business. Still working on that one. There are always unforeseen obstacles, and it doesn't matter how much you plan, you have to be flexible enough to adapt quickly. I spend six to seven days a week in my two clubs. I'm an active, hands-on manager. I do some of the training myself, and if I have a class that begins at 5:15 a.m., I'm up at 4:15 to get ready. As a franchisee, I also handle administrative issues and am always looking for ways to grow my business. Just because you can do something, doesn't mean you should. What's your passion in business? People. How can I help make you the best version of you? How do you balance life and work? That is my biggest struggle. I am still working on that one. "The Walking Dead" TV series. The Maxwell Daily Reader: 365 Days of Insight To Develop the Leader Within You and Influence Those Around You by John Maxwell. What do most people not know about you? I play a couple of different instruments all by ear... piano, guitar, drums, and sing just a little. This may sound funny, but probably my wife. We are so busy these days we just don't have time to spend together like we should. Know as much as you can about your business, but only do what you are good at and build a team to handle the rest. I try to mimic Arthur Blank, owner of the Atlanta Falcons. He always had an open door policy and he really wanted to know what was going on in his players' lives. He would ask, "How can I help you in life?" That influenced me and I try to do the same with my people. I don't want this to just be a job for them, but a career. Probably balancing personal and business life. It's tough. But it's also a challenge knowing how best to grow my business, building consistency, finding solutions, and working through problems. How do others describe you? I guess it depends who you ask. What is most consistent is "genuine." Boy, now this could make a long list. I'd like to become more efficient with my time. How close are you to operations? Very. I am in my clubs just about every day. What are the two most important things you rely on from your franchisor? I am a guy who needs that playbook. I rely heavily on the franchisor for a lot of things. If I had to choose two, it would be operating system and marketing strategy. To supply all the boxing equipment, retail, etc. How is social media affecting your business? Social media has been great. It's definitely a huge piece when it comes to marketing. How do you hire and fire? We have a simple process in place when it comes to hiring, and the process could take anywhere from 1 week to 3 months, depending on the individual. I have only had to terminate one employee so far, and I can say it was my least favorite part of the job. How do you train and retain? The training process always begins with a series of videos that must be watched. Then we have them shadow employees, and our GM does a great job with the entire training process. To retain employees, I believe giving them an opportunity to work in a fun environment where they can grow is key. How do you deal with problem employees? We use a merit system. Having to be told something repeatedly. What skills/experience from sports have carried over to operating a business? The ability to work with people from all different walks of life and come together to win. Also, that no-quit mentality. All I know how to do is work. Which do you find more competitive, sports or business? I think they are both equally as competitive and cutthroat. Why did you choose franchising as an investment option? I am a true playbook guy. I don't want to spend time reinventing and trying to figure out. Give me my instructions and I will go from there. How did you transition from sports to franchising? It was a very smooth transition. I wasted very little time once I knew I was done playing, and began looking into different options. What was your greatest achievement in sports and what has been your biggest accomplishment as a franchisee? I am proud of my 10-year NFL career, but I don't know if that is considered my greatest accomplishment. As far as business goes, it's way too early for that. To double our annual revenue. Growth meter: How do you measure your growth? By three metrics: memberships, personal training, and retail sales. Vision meter: Where do you want to be in 5 years? 10 years? In 5 years, the plan is to be building out the 7th Title Boxing Club location in the Atlanta area. How is the economy in your region affecting you, your employees, your customers? This is hard for me to answer because I've only been operating the clubs for just over a year now. Come back in a couple of years and I'm sure I can fill you in. Are you experiencing economic growth in your market? I'm not sure how much is related to our local economy, but we have doubled our sales in just one year of operations. How do changes in the economy affect the way you do business? It's still too early in the game for me to tell. How do you forecast for your business? By keeping a close eye on what's working and what's not working. For example, I saw that we needed to cut back on the marketing expenses we had at one of our clubs. That helps me identify what to do going forward. Experience with private equity, local banks, national banks, other institutions? Why/why not? I have self-funded my business. What are you doing to take care of your employees? All of my employees are commission-based earners. There's no earning cap here for them. I try to provide opportunities for them to be more than employees and to become partners in this business as we grow. How are you handling rising employee costs (payroll, minimum wage, healthcare, etc.)? Right now, all my employees are part-time. But as we grow I would like to be able to offer a 401(k) plan and other benefits. It's important for me to take care of my employees. How do you reward/recognize top-performing employees? All of our employees are commission-based with no cap, so the harder they work the more they see. What kind of exit strategy do you have in place? That's a good question. I'm still young and very new to franchising. But I do realize that I will need to address this at some point. For now, I'm actively involved in operating my clubs and in growing them, and that's where my focus is. Break Down the Silos Between Operations and Development!